Universities and Colleges require a framework for organizing and managing their data, this includes prospects, students, faculty, and alumni information. Major focus areas for most institutions are to increase enrollment, understand and provide tailored communications all along the student lifecycle, and increase alumni involvement and donations. By using social, mobile and cloud technology, universities can easily connect and capture information from interactions they have with prospects, students, faculty, alumni, and organizations. But what happens with that data, how is it collected and distributed to better serve constituents of your institution? Higher Education Data Architecture (HEDA), which Salesforce developed in 2016 to provides a architecture designed for Higher Education. HEDA is a community-driven data architecture designed to help Universities and colleges create a Connected Campus throughout the entire student journey. Institutions can now utilize the HEDA architecture that is designed to configure Salesforce out -of-the-box for universities and colleges. HEDA simplifies the process for institutions to enable dynamic, personalized engagements throughout the student lifecycle, from prospect to alumni. Prioritize and manage the student population by having a 360-degree view of real-time student information. Consolidate data sources to design targeted programs for recruiting, students, alumni, and community. Shorten the amount of time to process applications, fees, and waivers. We are furthering our contribution to the higher education community with integration solutions in Salesforce. We are also the only integration provider that is Salesforce Higher Education Data Architecture (HEDA) Core Compatible. 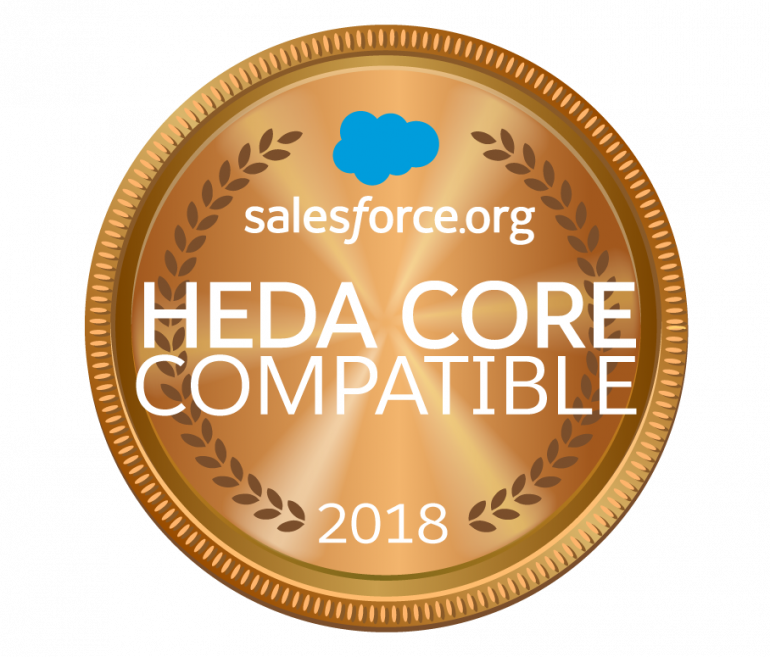 We have tested this with Salesforce’s architecture designed for Higher Education and are part of the Salesforce HEDA Core Compatibility program. The Jitterbit API platform works seamlessly with connecting and automating your systems, so all your student information from admissions, marketing communications, to financial information is completely connected, providing you a 360-degree view of your entire organization. We’ve helped universities such as UCSF, Rutgers, and Harvard build that optimal experience, take a look at some success stories. While at the Higher Ed Summit, take some time to hear Taylor University’s Salesforce HEDA Success Story on Thursday, March 22, at 3:00 pm (ET) in the Quad Theater-Expo Hall E. They will talk about lessons learned, and how Jitterbit and Salesforce are powering the Connected Campus through automation and a solution specifically built for Higher Education. Also, check out our Higher Education Syllabus for Success to learn how to incorporate integration in Higher Education.